Two new channels are heading their way to the Freeview service, after the BBC and Arqiva have been granted permission to sell some of their frequencies. 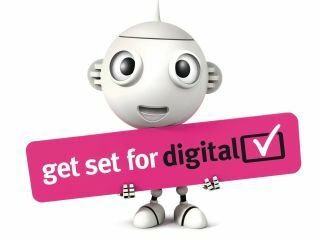 The channels should be in place before the end of the digital switchover in 2012. Good news, then, for those looking at the service as a cheap replacement to their plain-old analogue channel setup. The BBC has managed to free up frequency space by ditching its multi-screen and red button options ahead of its BBC HD launch on Freeview. Arquiva, on the other hand, managed to open up space for a new channel through 'technical improvements'. "In these unique circumstances, pairing the BBC's diminishing spare capacity with Arqiva's growing spare capacity would enable two additional national TV channels to be broadcast in the near term rather than only after the completion of digital switchover," said Ofcom in a statement about the news. There's no word on what the channels will be, but we're betting the folks behind Dave, G.O.L.D and Quest are putting their thinking caps on now to come up with an oh-so funny spin for a channel spouting out stuff we've all seen a thousand times before.